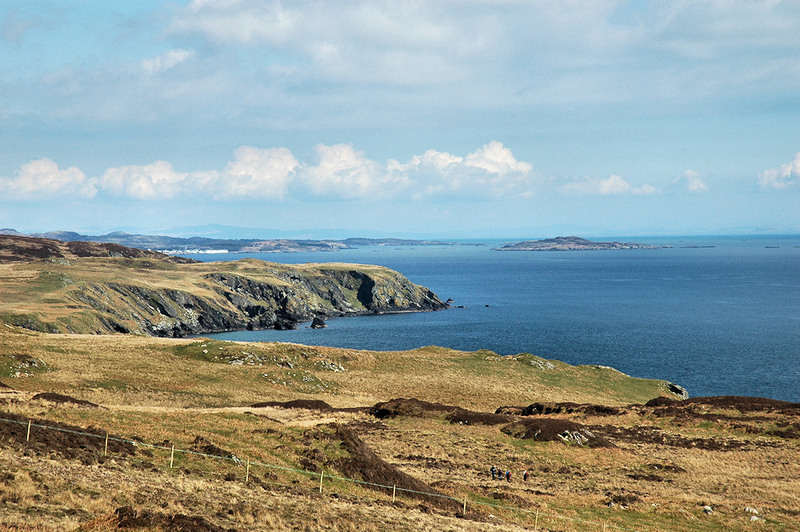 A view from a walk around the Oa in the south of Islay. We are at the far south of the Oa, looking north east towards Laphroaig (on the left) and Texa (on the right). The mainland just visible in the haze in the far distance. This entry was posted in Distilleries, Landscape, Repost, Sunny Weather and tagged Islay, Laphroaig, Texa, The Oa by Armin Grewe. Bookmark the permalink.